4. Shop with CatchBack at Catch.com.au! 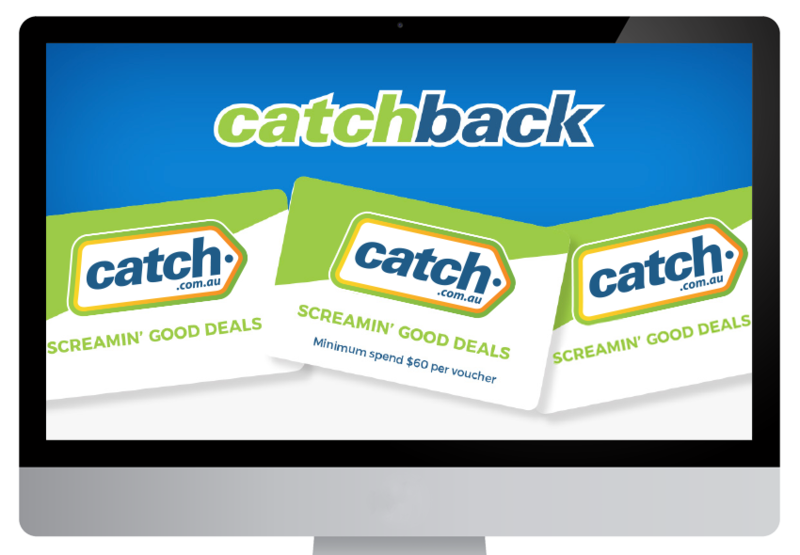 Purchase a 90 day prepaid mobile plan and receive shopping vouchers to spend at Catch.com.au - we call it Catchback. You’re free to spend your CatchBack on up to 700,000 screamin' good deals at Catch.com.au - Australia's favourite place to shop online. With CatchBack, you’ll receive 3 vouchers for use in a separate transaction over $60 (excluding Catch Connect prepaid plans). Offer ends 30.04.2018 - unless extended or withdrawn. What do you get when Australia's favourite place to shop online meets one of Australia's top mobile networks? Catch Connect! 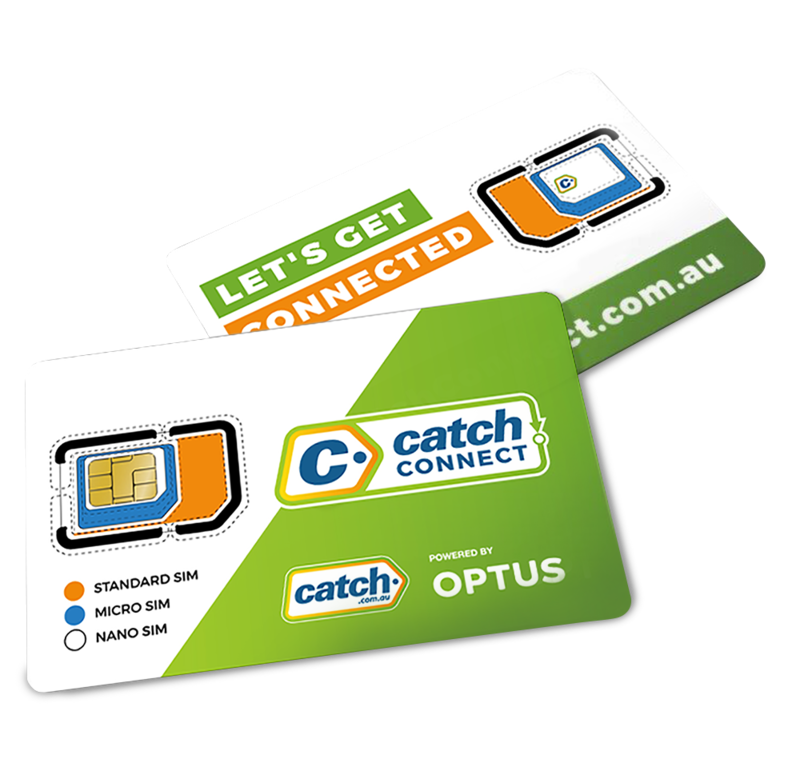 Mobile phone plans powered by Optus 4G network, priced by Catch! Catch knows what shoppers want: great deals. So we offer prepaid 30 day plans, 90 day plans, and 365 day plans at crazy low Catch prices. Want cheap data? Just pop in a Catch Connect SIM card, activate it, and go. It's too easy! Stop paying too much for mobile data. Stop being disappointed by unreliable networks and meager coverage. You belong with the dream team of Catch and Optus - you belong with Catch Connect! Simply buy anything from Catch.com.au. *Expires 30/09/2018. You must be subscribed to receive Catch.com.au marketing emails. 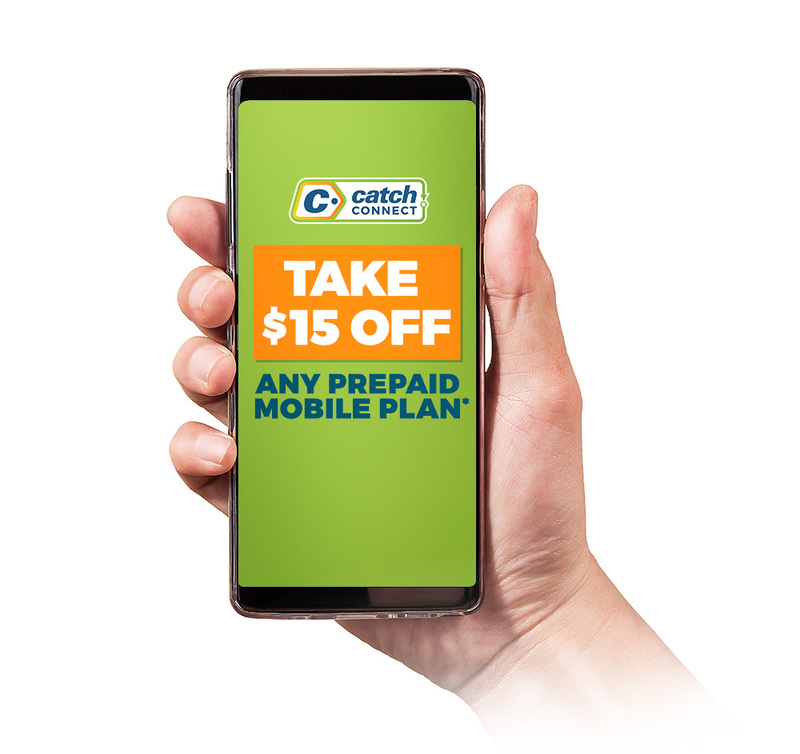 New customers may redeem each coupon code once to reduce the initial purchase price of any prepaid mobile plan on www.catchconnect.com.au by $15. Data only plans excluded. Subsequent recharges and plan purchases at standard prices. Not transferable or redeemable for cash, recharges, plan swaps, Extras or shipping. Automatic recharges apply unless you opt out. Only one coupon code per transaction. If a coupon is applied an eligible plan costing less than $15, the balance will be forfeited. See the full terms and conditions on www.catchconnect.com.au.